This is our complete guide to Rockstar's Red Dead Redemption 2, including the a review roundup, release date information, special edition details, and more. Red Dead Redemption 2 is now less than a day away from finally releasing worldwide, for the PS4 and Xbox One. In this complete guide to Rockstar's wild west prequel, we've got a complete Red Dead Redemption 2 review roundup, as well as information on the final Red Dead Redemption 2 release date, and much more. If you're still playing Red Dead Redemption or are starting it for the first time, we've got all the Red Dead Redemption cheats you'll need. 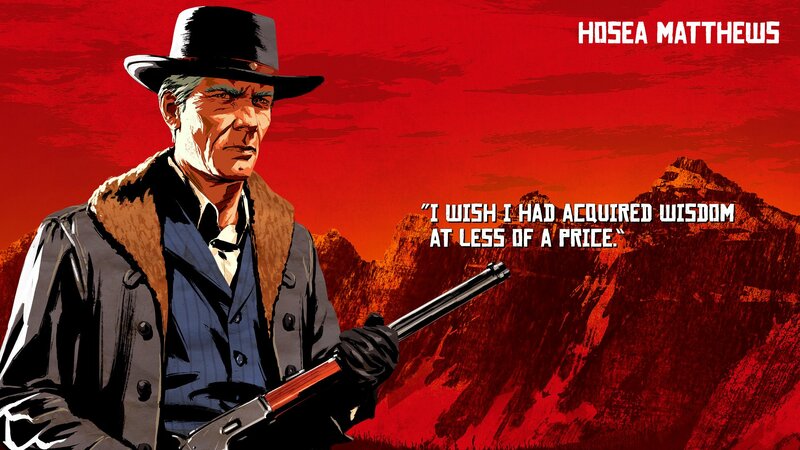 We'd definitely recommend giving it a go if you're entirely new to the Red Dead series, as the game holds up really well on the previous generation of consoles, and has even been enhanced for the Xbox One X, so you can play the original Red Dead Redemption in 4K. Now that the review embargo has lifted for Red Dead Redemption 2, we've rounded up a selection of reviews from outlets around the globe. 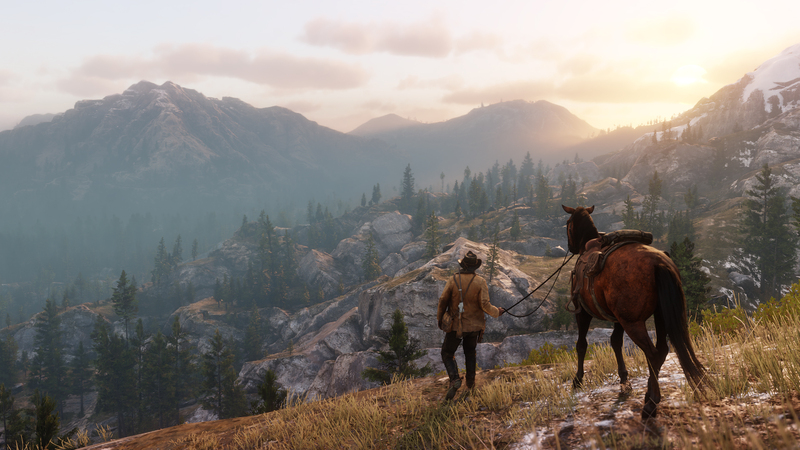 USgamer: 4.5/5 - "Rockstar Games has crafted this huge, beautiful world with an attention to detail that's astounding. There's a high level of craft here, but that's also why some of those small annoyances or more obtuse systems stick out more." Eurogamer: Recommended - "An astounding open world unlikely to be rivalled until well into the next gen, saddled by a throughline from the last." VG247 - "Red Dead Redemption 2 is a brave prequel that isn’t afraid of taking risks. It is innovative, surprising, stunning, dramatic, and generous – a highlight of this generation and a benchmark for other open world games to aspire to." 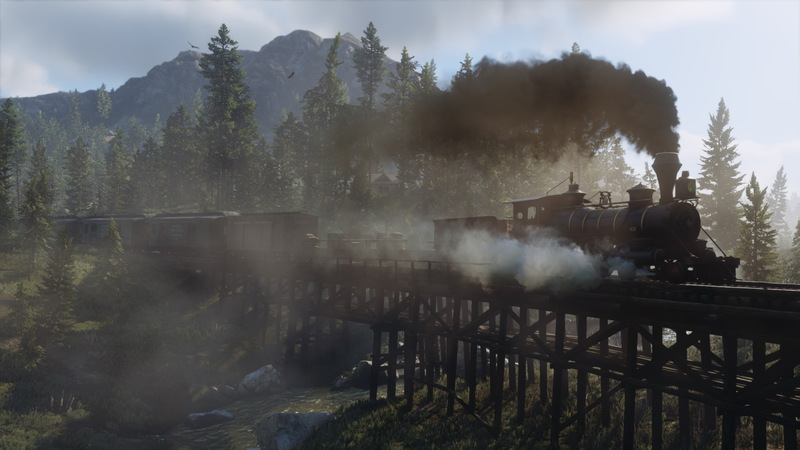 IGN: 10/10 - "This is a game of rare quality; a meticulously polished open world ode to the outlaw era. Looking for one of this generation’s very best single-player action experiences? Here’s your huckleberry." Gamespot: 9/10 - "Red Dead Redemption 2 is an excellent prequel, but it's also an emotional, thought-provoking story in its own right, and it's a world that is hard to leave when it's done." "We are excited to announce that Red Dead Redemption 2 will be released on October 26th 2018. We apologize to everyone disappointed by this delay. While we had hoped to have the game out sooner, we require a little extra time for polish," reads the post. 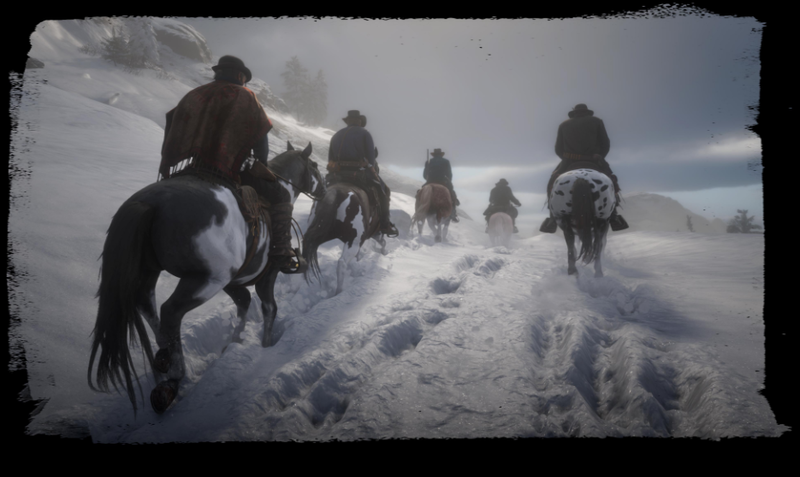 Just below, you can check out a number of screenshots for Red Dead Redemption 2, which were released by Rockstar in mid September. We can see mountains, small frontier towns, and what looks to be one mean alligator. With Red Dead Redemption 2 now with an official October 26 2018 release date, maybe now is the time to pre-order Red Dead Redemption 2 on PS4 or Xbox One. We've got pre-order links for Amazon just below, for both the PS4 and Xbox One versions of the game. 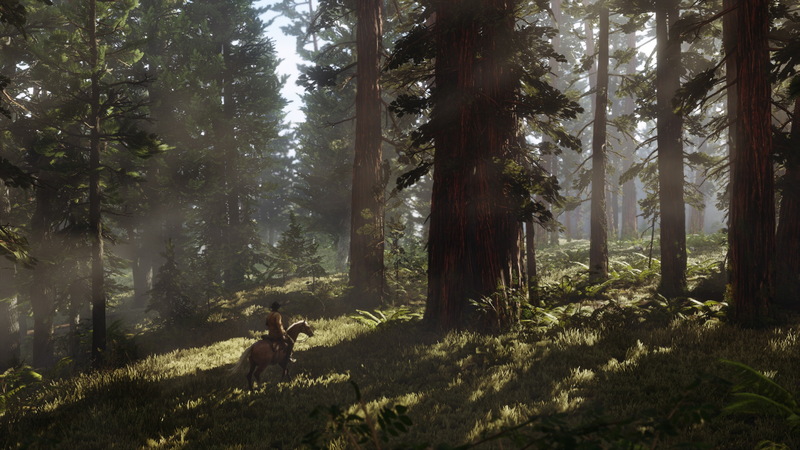 On October 1, 2018, Rockstar revealed a second Red Dead Redemption 2 Gameplay Trailer. It features first person gameplay, a look at heists and robberies, and also hand-to-hand combat. The updated Dead Eye System was also detailed, showing how you can now highlight vital organs to take enemies out in one shot. In the footage just below, Rockstar debuted the world of Red Dead Redemption 2 in full for the first time. 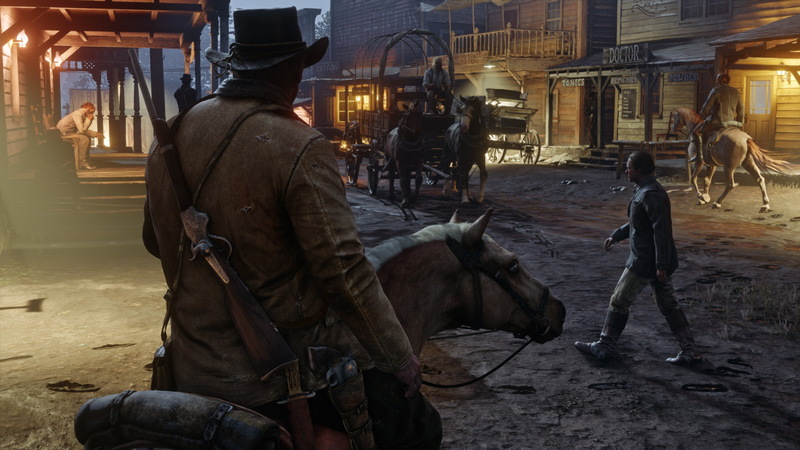 We can see gunfights both on horseback and on foot, the Deadeye system from the first game in use, and interactions with citizens of the US. Rockstar showed how you could track wounded animals, as well as how you can interact with your gang at the camp between missions. 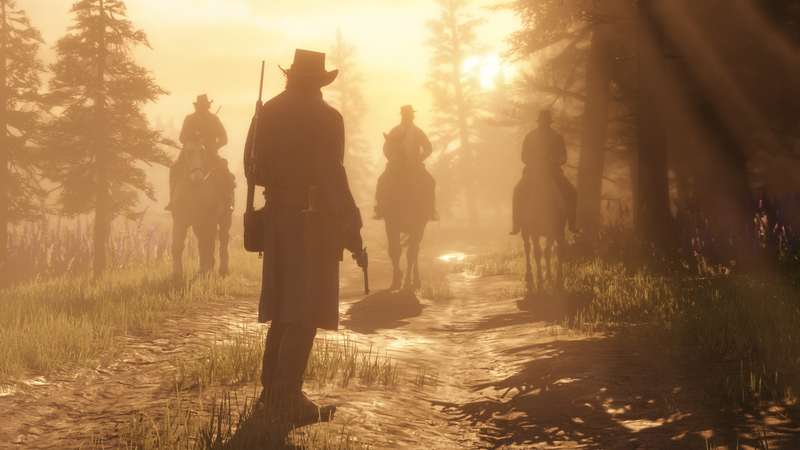 Straight after the debut of the Red Dead Redemption 2 gameplay on August 9, we reached out to Rockstar for clarification on what system the gameplay was captured on. 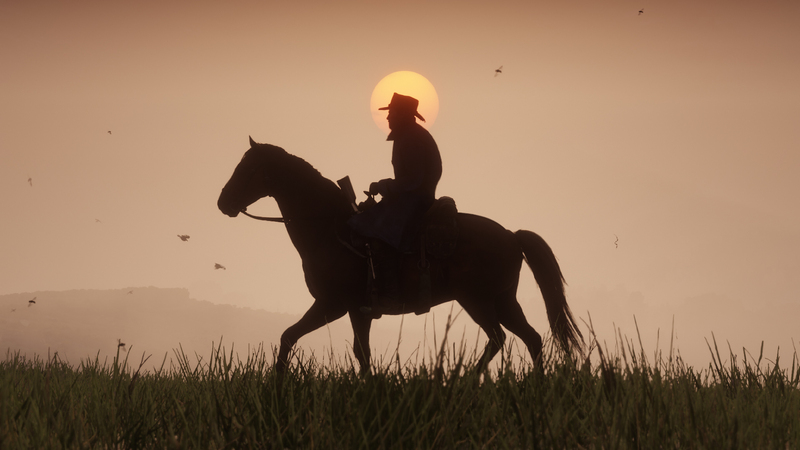 Rockstar confirmed to USgamer that the gameplay seen above was captured in-game on a PS4 Pro, and is running in native 4K. Quite the technical feat from Rockstar, if it holds up come launch. 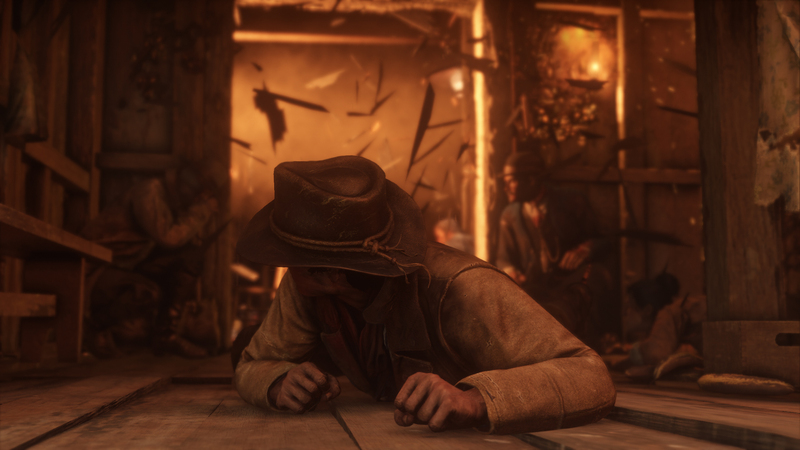 In the Red Dead Redemption 2 trailer, we can see various gangs and new characters talking in front of stunning backdrops, all at the very end of the era of the outlaw. It confirms that Red Dead 2 will feature heists, if the various hold ups throughout the trailer are anything to go by. Red Dead Redemption 2 will release in three editions: normal, Special, and Ultimate. There's even a big box of collectable Red Dead 2 stuff being launched alongside the game itself. We've detailed what you'll get with each on our Red Dead Redemption 2 pre-order guide page. 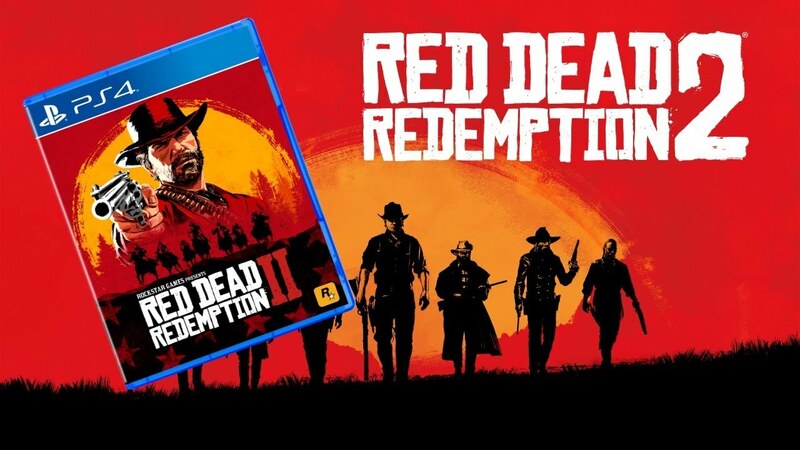 The Red Dead Redemption 2 box art seen just below has been circulating online since the trailer for the game launched on May 2, 2018. 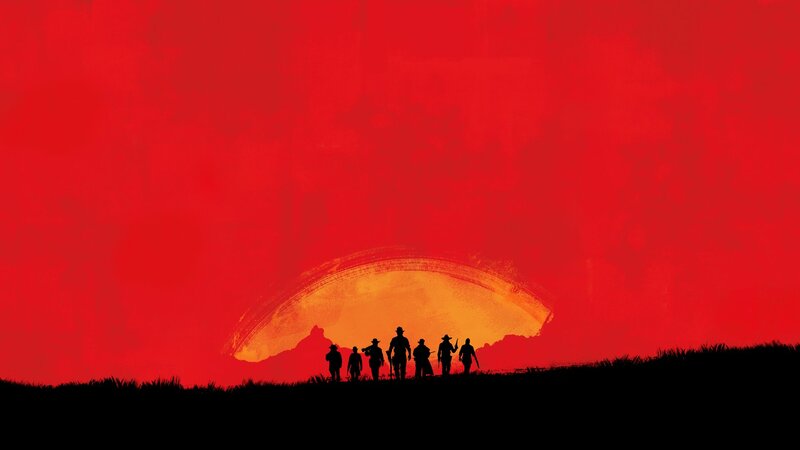 Online listings have confirmed this box art, showing a gun-toting Arthur Morgan with the silhouette of the rest of his gang members. A bunch of impressive new Red Dead Redemption 2 screenshots were also released, which we've got for you below. 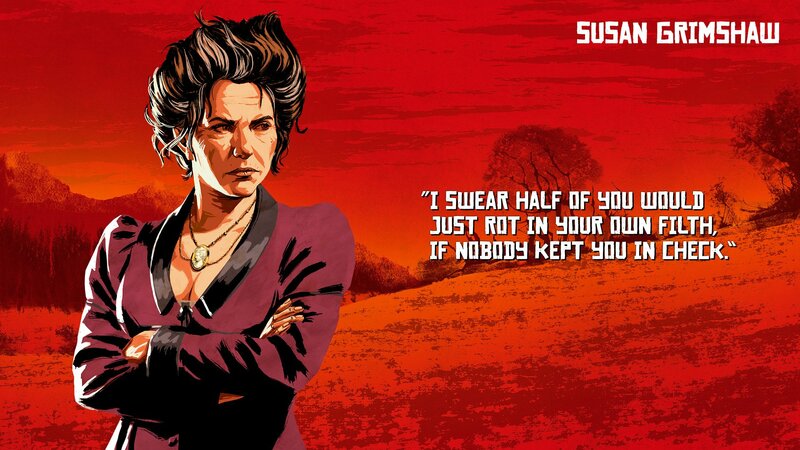 Rockstar released story trailer no. 2 for Red Dead Redemption on September 28, 2017 which you can see for yourself just below. 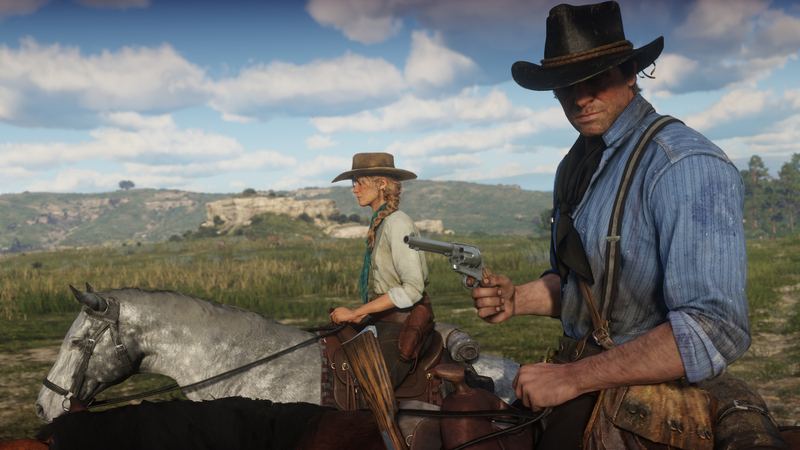 Playable protagonist Arthur Morgan is actually a member of Dutch's gang, and we won't be playing as John Marston, as people had previously speculated. 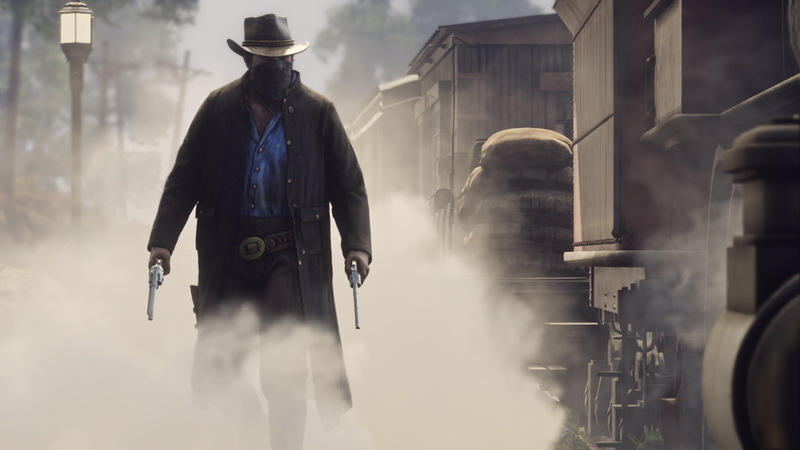 There's a heavy emphasis on the story of the gang in the trailer, and we can see a train heist and hunting with a conventional bow and arrow taking place. 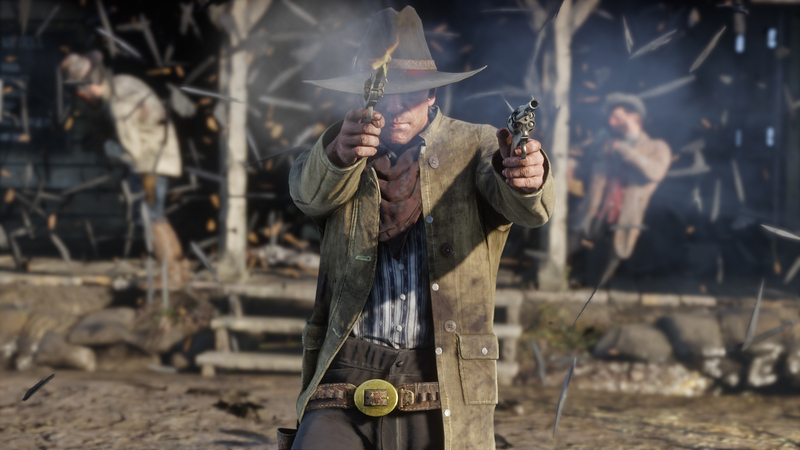 Trusted Reviews were the recipients of some Red Dead Redemption 2 development notes, reportedly straight from Rockstar, surrounding several new features about the upcoming game. Firstly, Trusted Reviews reports that there will be a 'battle royale' mode in the online portion of the game, as well as 'Revive and Survive', and 'Money Grab' modes. The Revive and Survive mode pits two teams against each other, and you'll have a limited amount of time to revive your teammates before they're gone for good. In Money Grab, two teams will fight other a stash of gold in the middle of a map, attempting to return it to their base as quickly as possible. 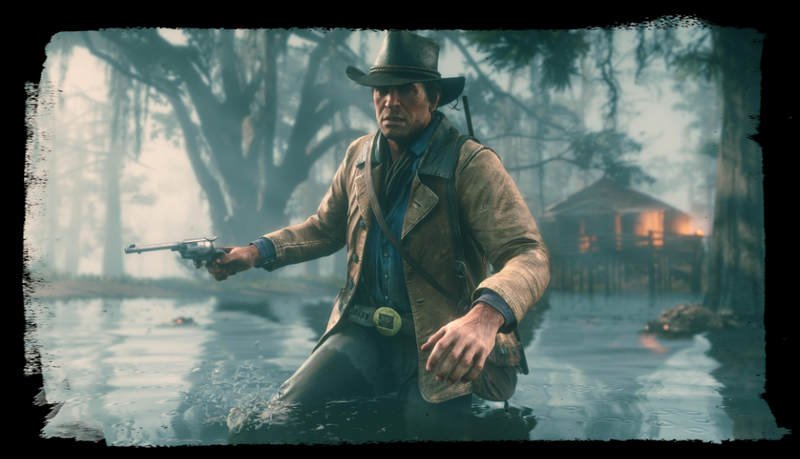 Outside of the aforementioned online game modes, the site also reports that fishing, crafting, and hunting wildlife will also feature in the single-player campaign of Red Dead Redemption 2. 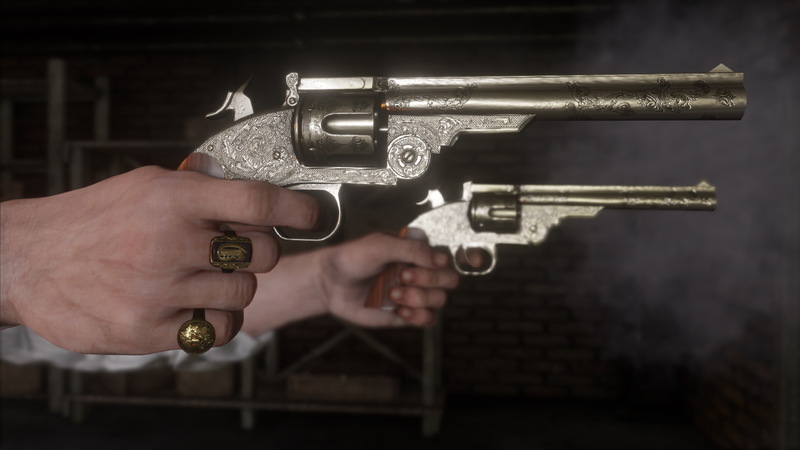 The Eagle Eye feature from the original Red Dead Redemption will make a return, but you'll also be able to play the entire campaign in either first or third person, not unlike Grand Theft Auto V, albeit a few years after launch through an update. 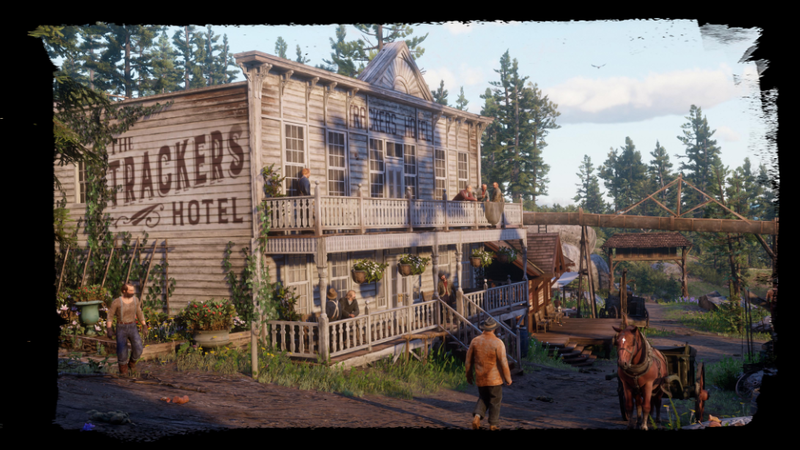 Valentine, The Heartlands, NH - A raucous, rough-and-tumble town in the Heartlands, Valentine’s livestock auctions attract traders, ranchers, cowboys, gamblers, outlaws and prostitutes from far and wide, all looking to make some money, raise some hell, and have a good time. Annesburg, Roanoke Ridge, NH - Life isn’t easy for the miners and their families in Annesburg, which has been providing coal up and down the Lannahechee River for almost a century. Working conditions are terrible for little pay, and many men have lost their lives down the pit. Saint Denis, Bayou NWA, LE - A key gateway into North America with a trade route that runs the length of the country, the bustling city of Saint Denis is a melting pot of cultures and people where businessmen, socialites, sailors, laborers, beggars and thieves all live side by side. Mount Hagen, Grizzlies, AM - One of the more well-known peaks in the snowy Grizzlies of Ambarino, Mount Hagen towers above Lake Isabella to the west and Beartooth Beck to the east, which provides the main pass through the western mountain range and joins up with the Dakota River further south. Rhodes, Scarlett Meadows, LE - Prim and proper on the surface, tensions and corruption run deep in the Southern town of Rhodes, which for years has been caught in the crossfire between the Braithwaites and the Grays, two warring plantation families. Strawberry, Big Valley, WE - Strawberry was little more than a small logging town until the arrival of its new mayor, an East Coast eccentric, who is obsessed with transforming it into a cultural beacon for wealthy tourists, much to the bemusement of the locals. Lagras, Bayou NWA, LE - A small, remote settlement out in the swamps of Bayou Nwa, Lemoyne, the people of Lagras live self-sufficiently for the most part, making a little money here and there from fishing and acting as guides for travelers wishing to navigate the region. As you can probably imagine, these seven silhouetted character images first revealed in the second teaser image posted to the Rockstar Game twitter account prompted massive amounts of speculation. 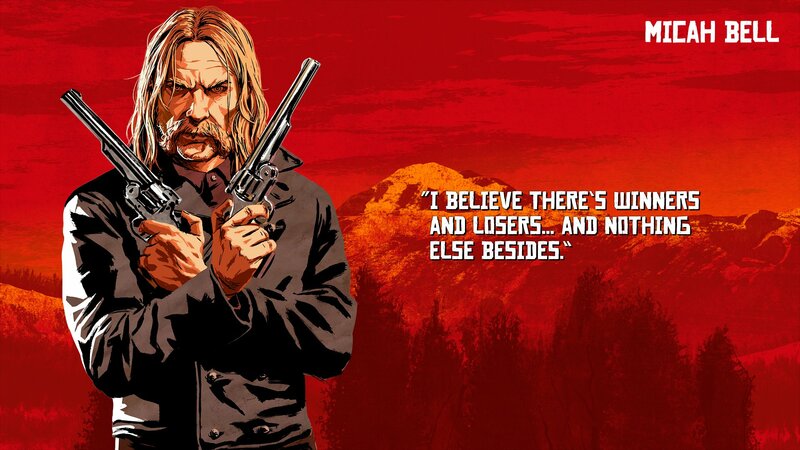 Some suggested that these characters are the members of John Marston's former gang, with the main character from Red Dead Redemption returning once again as the protagonist, through the sequel actually being a prequel. 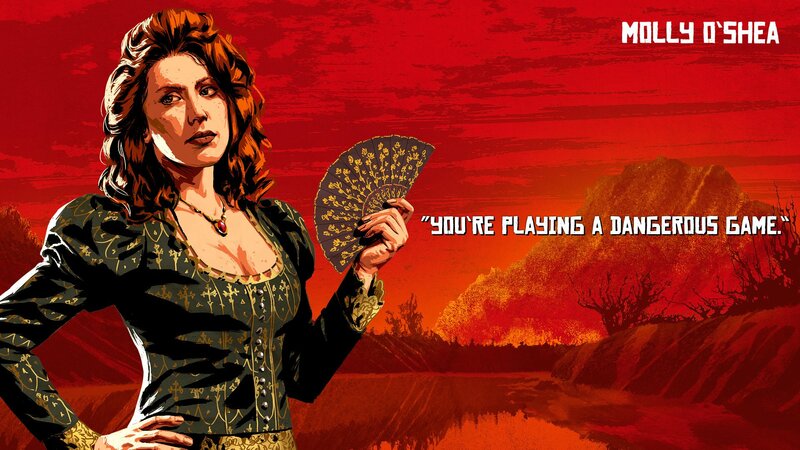 This speculation turned out to be correct, as Red Dead Redemption 2 is indeed a prequel focusing on the Van der Linde gang. Let's take a look at the characters we know about so far. 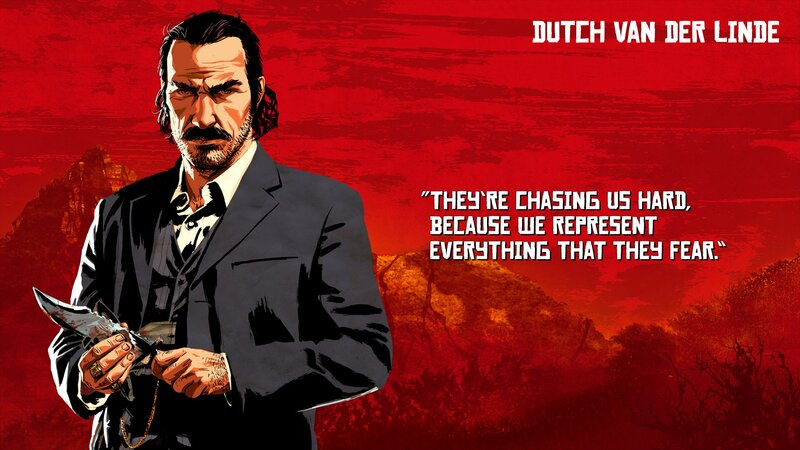 Rockstar has started to tweet out each individual member of the Van der Linde gang, along with a quote from each one. We've listed them all below. 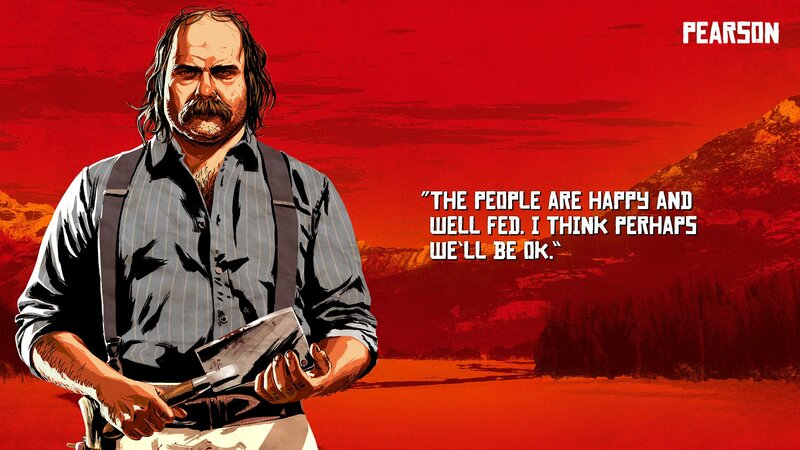 Here are the Red Dead Redemption 2 Van der Linde Gang Members we know about so far. The debut reveal trailer for Red Dead Redemption 2 was posted to the official Rockstar Games YouTube account on October 20, 2016, and currently sits at just over 15 million views in total. Recent Red Dead Redemption 2 preview coverage has revealed that you'll be able to play Red Dead Redemption 2 entirely in first person. 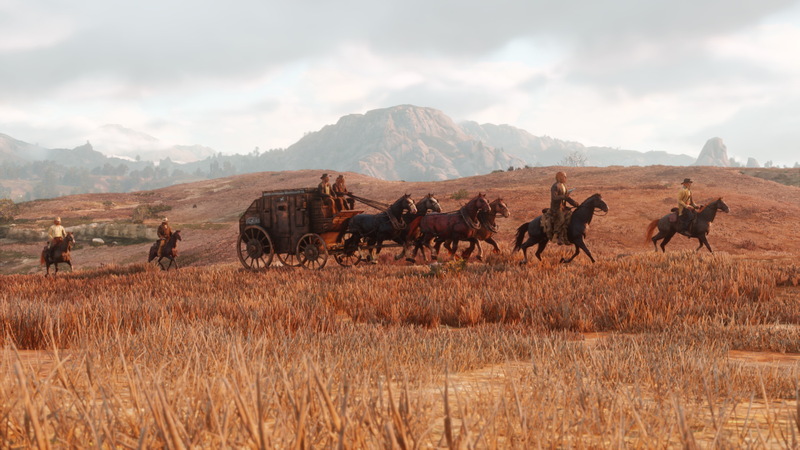 There's no word on whether this will extend to the Red Dead Online 2 Multiplayer mode. Red Dead Redemption 2 PC - Will Rockstar Bring it to PC? 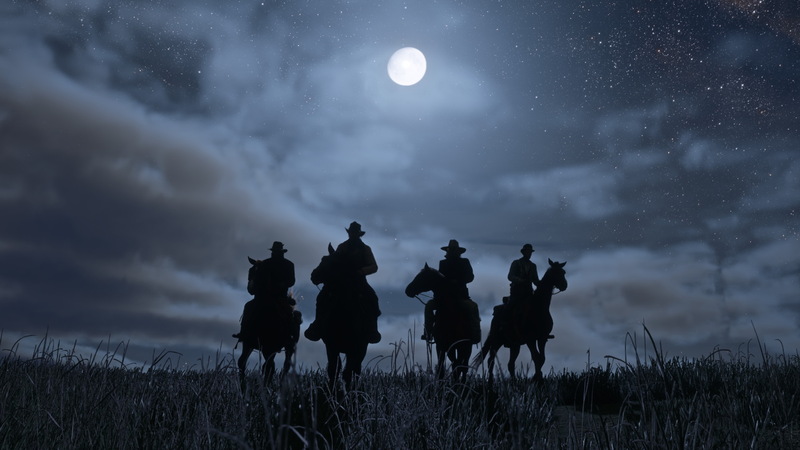 Rockstar Games has been particularly quiet on the possibility of Red Dead Redemption 2 coming to PC. Recently in June, our sister site VG247 reported on a LinkedIn profile for a Rockstar developer, which appeared to reveal that the upcoming western game is in fact coming to PC. The LinkedIn profile for the Rockstar developer doesn't actually reveal when Red Dead Redemption 2 will be launching on the PC, and it's entirely possible that it could be launching after the console release in October 2018, just like Rockstar did with GTA 5. We'll make sure to keep this section of our guide updated with more information, as it becomes available. Thanks to some recent preview coverage, we now know a ton of extra gameplay details for Red Dead Redemption 2. We've collected them all below, so that you can easily see what's new this time around. Make sure to bookmark this page, as we'll be adding information on Red Dead Redemption 2 as soon as it becomes available. With the game now confirmed for an October 26 2018 release, expect a steady trickle of information over the year. 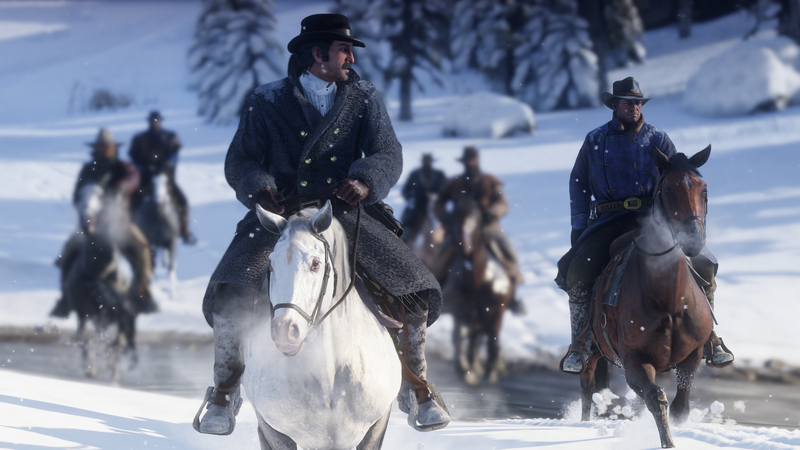 For a look at everything we know about Red Dead Redemption 2 Online's Online component, head over to our Red Dead Redemption 2 Online Guide.